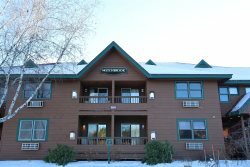 Large Vacation Rental Condo in Lincoln, New Hampshire | Across from Loon Mountain - ziplining - Scenic Gondola Rides | Recreation Center- Indoor and Outdoor Pool - Tennis - Hot Tub - Game Room. Condo with shared indoor pool, weight room, tennis courts and next door to Loon! This Condo at the Village of Loon in Lincoln NH has room for 12. Bring 2 or 3 families and enjoy being next to Loon Mountain Resort with so many activities to choose from! Have a blast exploring the Loon Adventure Center with Zip lining down Loon Mountain and over the Pemi river or Scenic Gondola Rides up to the top of Loon mountain with incredible views. Climbing Wall and Bike Rentals also available. Great spot for hikers, explorers, fishermen, bikers and adventurers. This condo has 4 bedrooms and a loft. With 3 Queens, this makes the perfect spot for 3 small families! Lower Level with it's own kitchenette and main kitchen is fully equipped. Access to shared indoor pool, tennis courts, weight room, outdoor pool, hot tub and sauna. Enjoy the mountain views of Loon from this condo! This condo is off the scenic Kangamungus Highway which will bring you to North Conway in 30 minutes! Enjoy this ride with amazing swimming spots to stop at or challenge yourself with a hike up on of the 4000 footers in NH. Be at Whales Tale Water Park or Clarks Trading post in less than 15 minutes! Explore the restaurants and shopping in Lincoln or stop by your favorite ice cream shop! Go a bit further to the quaint town of North Woodstock for more shopping, restaurants and ice cream! Get on I-93 to visit the Flume or Basin for some amazing natural NH Gorges. Up to 8 adults or families of 12. Sorry, no pets allowed. 2 Parking Spots at the condo with an additional parking area. No Smoking Allowed. It was excellent experience with All Mountain Rentals Team. Next time, I will first reach them for any of my vacation rentals needs. I enjoyed my stay at your Vacation Rental. Thanks for your hospitality.